Chanel Rouge Allure Luminous Intense Envoûtante was introduced as a part of the Spring 2013 collection. I thought it was quite a misplacement. To me it is a perfectly autumnal shade, so I bought it this year as soon as the air started feeling cooler. In my book, Chanel Rouge Allure tube is the best. 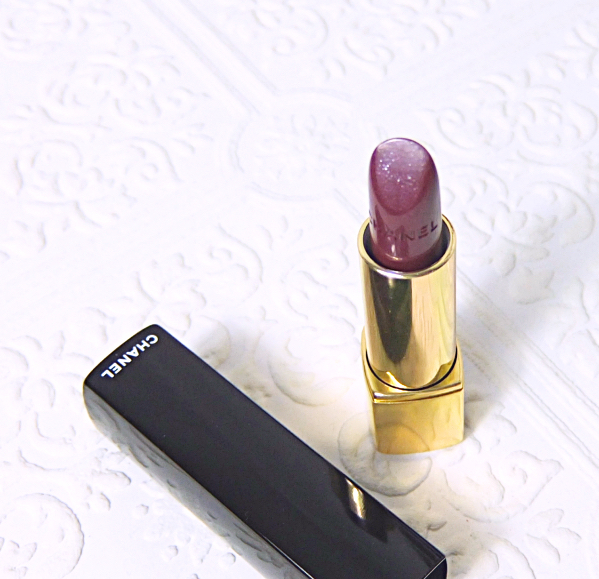 Envoûtante (meaning "mesmerizing") is a smoky purple/berry with visible silver shimmer. Oh, how I loved it! Back then I'd put on some powder foundation, mascara, and Envoûtante only, and I still felt dangerous and mysterious! 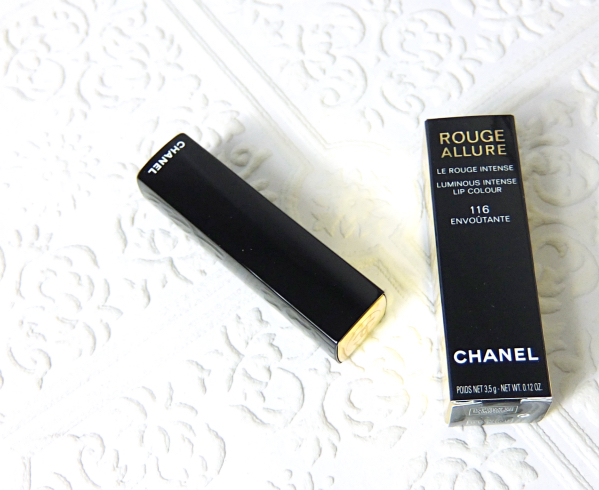 Chanel Rouge Allure formula really varies depending on the shades, and this particular color is on the sheer and glossy side. I would say it is even sheerer than some of the Rouge Coco Shine I own. 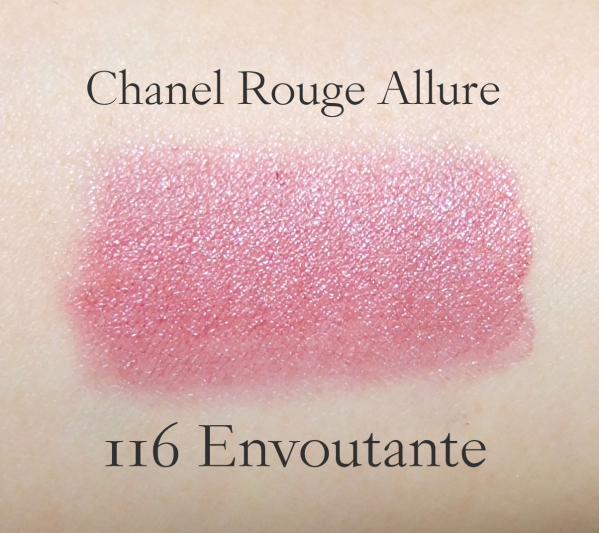 So Envoûtante in Rouge Allure is quite different from what I remembered. The color is spot on, but how it appears on lips is almost completely different. Well, reincarnations are like that, I guess. Now it is enchanting rather than mesmerizing, and much easier to wear for sure. I'm starting to understand the inclusion in a spring collection. From the bullet, Envoûtante reminds me much of the Chanel Rouge Coco Rivoli, but turns out they are two different animals. 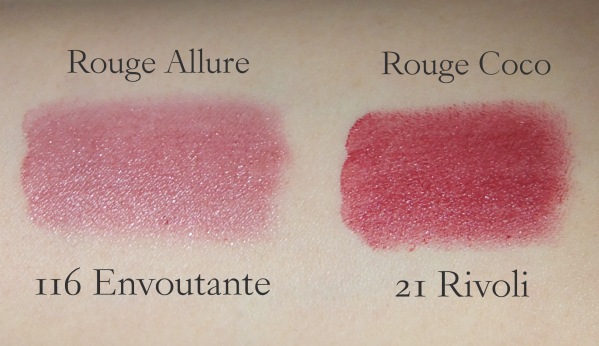 The difference in texture and opacity aside, Envoûtante is more of a purple where Rivoli (see it here) is a red. The color shows up a bit redder on my lips, though. It feels thin and balmy on lips, but the color shows up clearly and is builable. It is not the most moisturizing formula but not as drying as some Chanel lipsticks I've tried before. Chanel Rouge Allure Envoûtante still has this smoky and dark quality. I would call it a softcore vamp. Maybe it is the purple undertones or the shimmer? Anyway, this made me want to do a halloween look with Envoûtante. Nothing too dramatic, you know me. 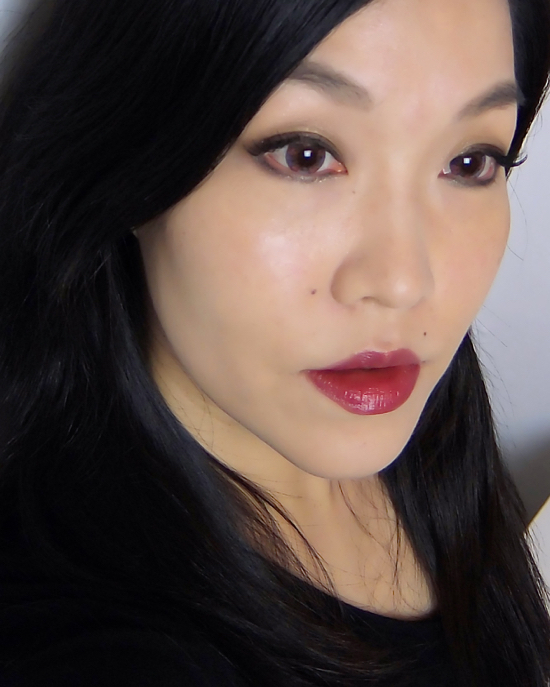 I was recently sent a pair of Vassen Rainbow Eyes in Purplish Red from PinkyParadise, which seemed to be nicely corresponding to this soft vampy lip color. I wanted to keep the focus on the eyes and the lips only, so no blush was used here. Instead, I carefully put on two thin layers of base then highlighted my face like mad. It may seem simpler, but honestly is so much more work. Back to blushes. For eyeshadows, I used a light brown and a glittery pale gold to bring out the berry colors. Despite of the "unnatural" colors, Vassen Rainbow Eyes Purplish Red still manages to look mellow and nice on. It is halloween after all. At least my eyes get dressed up. If you want to have fun with color contacts, my advice is to go for designs that mimic human eyes with different colors meshed in together. This one is about 14.5 mm in diameter, so I wanted to amp up the eye makeup without going too smoky - partial falsies on the outer corners. What is your favorite vampy lipstick that you can put on anytime without having to think too much? Do you plan to incorporate color contacts and falsies in your halloween look? Really pretty! Love that lipstick! And those lenses are fun! I've never worn coloured contacts before but they look amazing on you! I am surprised that this shade was released foer their spring collection, this shade totally screams fall. I love more sheer lipstick and enjoy my coco shine very much. Will have to check out more from this line. The whole collection was muted and kind of dark, so I did think it was a nice break from the usual pastel pinks and peaches. Still, the lipstick felt out of place. I'm just happy that I have it now. The shade looks beautiful on you, and that eye make-up is gorgeous! Which eyeshadows did you use? I admit, I'm a little bit of a kid, but that click-y thing is totally up my alley! I need to get my hands on one of my these! I have yet to try any CHANEL lipstick, so this will be the first I'm splurging on! Plus it is so sleek and chic, isn't it? 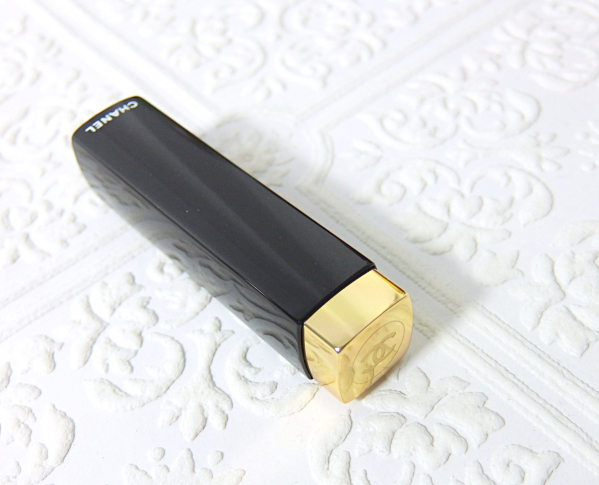 I dislike big and gaudy lipstick tubes that I often see from luxury brands. Rouge Allure is just perfect! I'm not sure if I'm gonna dress up for Halloween yet. If I do, I'm probably going to be a cat since I already have the ears. My cat is gonna be a unicorn though! No falsies or contacts for him! And thank you! 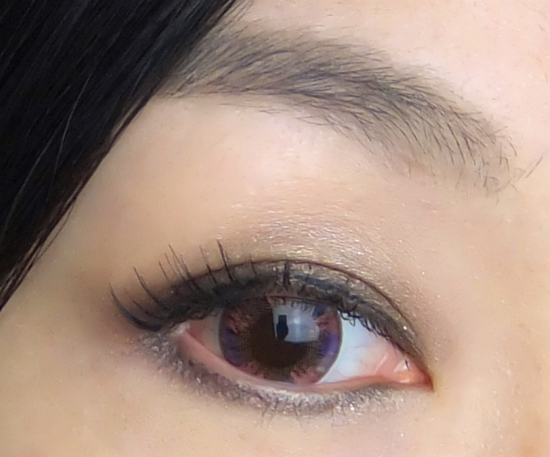 I was initially worried that the lenses would look too much, but they are quite natural on. I can even wear them without makeup. Quite comfortable, too! Lovely color!! 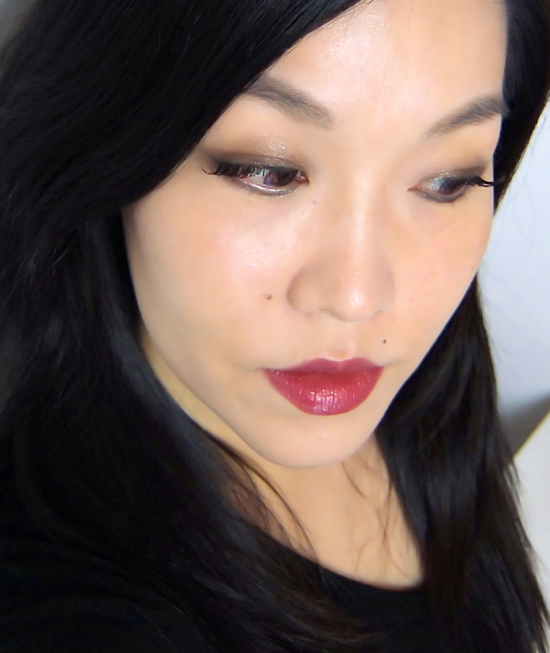 it is a very nice alternative for dark-matte vampy lips! the pink circle lenses are nice,Lena.. I is soft enough and not too much for daily use i think.. It is hard to believe you never tried Chanel lippies! ;D Maybe it is time! I love that the lipstick actually looks more pigmented on you than swatched. Love that colored contacts too! Ever since I did LASIK about 10 years back, my eyes are quite dry, so can't wear contacts without tearing up like crazy. Guess I have to stick to my natural eye color. LOL! It may be quite sheer but the pigment looks very pure and intense, which justifies the product name. Wow those half falsies look super natural, great job on the eyes! The swatch of this lipstick didn't look appealing to me at first due to the glitter but it looks amazing on you! Thank you! I am quite clumsy with falsies (and lazy to go through an extra step!) but this was easy enough with great effect. And I'm agreeing with you about Envoûtante. It is a versatile color on top of being beautiful. I'd wear it often all year round, to think about it. Ooo the perfect lip color for Fall! Pretty, it's such a great autumnal shade and it compliments your skin tone beautifully! pretty color - i like the slight shimmer. it does look more red on your lips, but i like it. I was thinking of picking up a Chanel lipstick that I had been eyeing all season, but I seriously can't get with Chanel's lip formula. I'm looking at Guerlain for the holidays and then I think it's time to zip up the wallet, lol. Wow, what a cool look! I don't dress up for Halloween, but I'd definitely be tempted to put in some fun contacts if I did! A gorgeous look, Lena! I love how cool those contacts are! And that lip color is very striking. The color looks more deepand intense on your lips, lovely lipstick! 'Softcore vamp', haha what a great term! 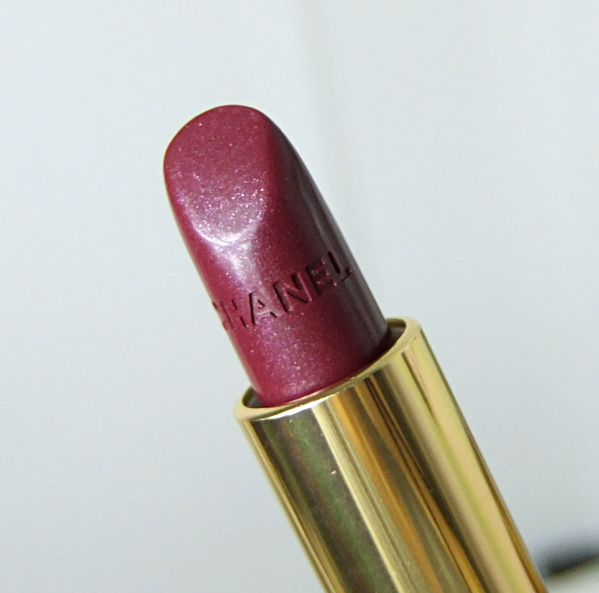 It's definitely a wearable vampy shade and the fact it's Chanel always adds an added dimension of sophistication. Those coloured contacts look so cool on you too, great for Halloween!